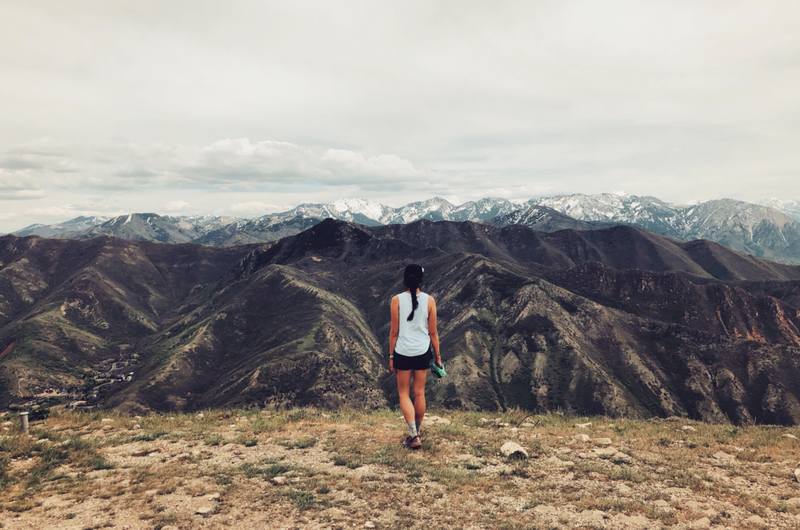 I'm getting way behind on these outdoor adventure posts, so this one is long overdue again, but here are some highlights from June! Utah Valley Marathon. This was one of my major races this year and I was so happy with the outcome. A goal of mine has been to run a sub 4 hour marathon and I finally did it! Fourth time's a charm, haha. Read the full recap here. Local Salt Lake City Trails. After completing the Utah Valley marathon, it was time to refocus on the next big goal and that's my 50K coming up in fall. 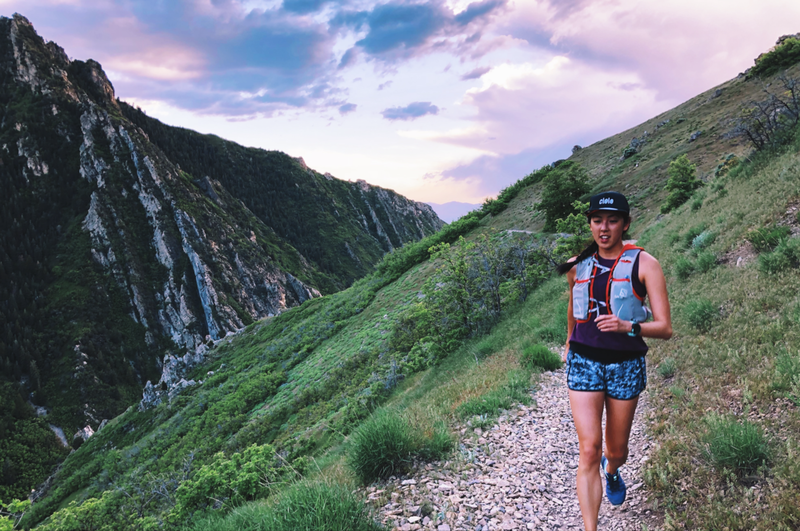 I've been semi-neglecting road running as of late because my true love is in the mountains so I've been loving being out on the trails more (fun fact: I've already done more total elevation this year than I did in all of 2017 combined! How crazy!). Some of my favorite trails to run are the ones that are close to home. Every time I run them, I get something new out of it and appreciate the unique experience of each individual run. 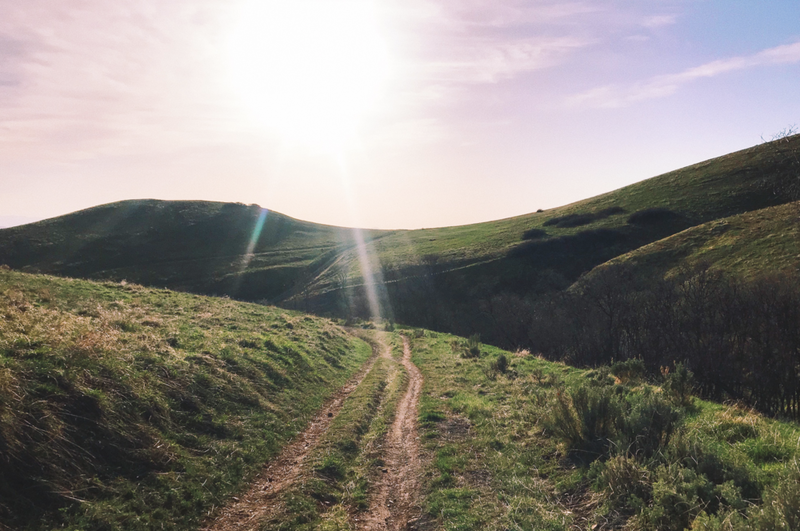 The photo above is from Dry Creek to the Bonneville Shoreline Trail. Black Mountain. Geof and I ventured out to Black Mountain to help familiarize him with the course for Wahsatch Steeplechase, a tough 17-mile race that goes from the Bonneville Shoreline trail above the city, past Twin Peaks to Black Mountain (and then back down through Smugglers Gap and City Creek Canyon). We did a shortened version of the course (turned it into an out-and-back) but it was still a tough climb in the heat. We've never gone past Twin Peaks to see what was further, so Black Mountain was something new and fun for us! I'd love to run Wahsatch Steeplechase next year with it being the fortieth anniversary. Saucony Trail Scavenger Hunt. 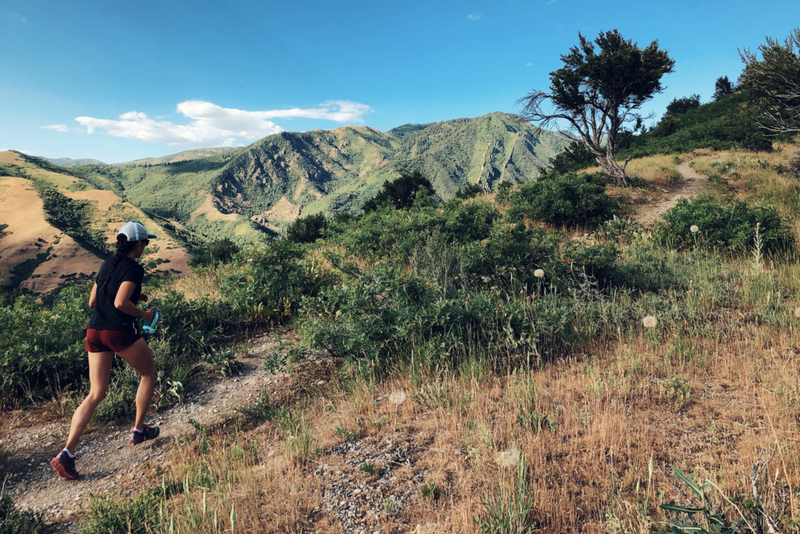 Saucony was in town and paired up with Salt Lake Running Company to do a trail scavenger hunt in Millcreek Canyon. They gave us a list of items to find and take photos of on our run, with an hour to get back to the meeting point to share our photos. 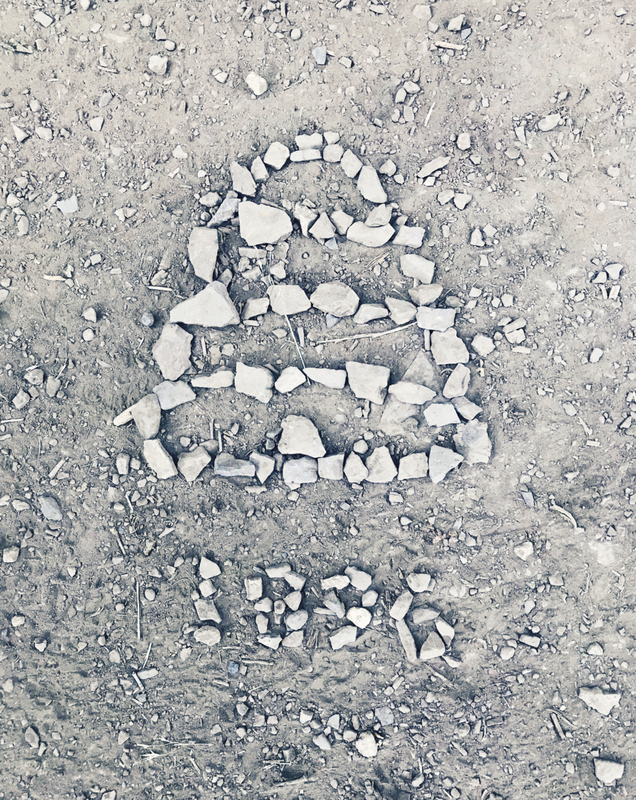 There were eight items total and the three shown above were: something from the Utah state flag (we made it out of rocks! 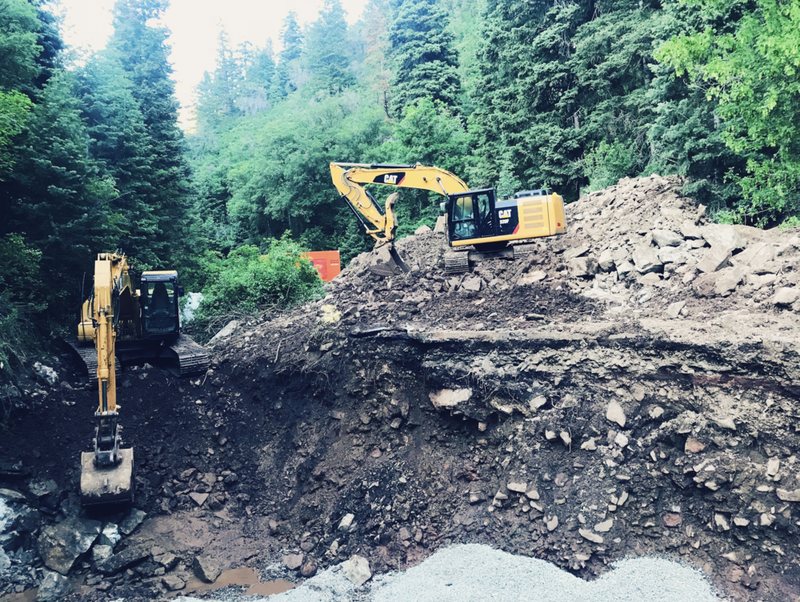 ), something Saucony (my favorite Peregrine shoes) and something sharp (there was construction on the road up Millcreek and the whole road was torn up; the claws on the CAT equipment were the sharp item). We took the scavenger hunt very seriously and got second place! Jacks Peak. This was the next stop on Geof and I's Peak Project. Geof had been dealing with a pulled glute from his Wahsatch Steeplechase race, so he hiked this while I ran. 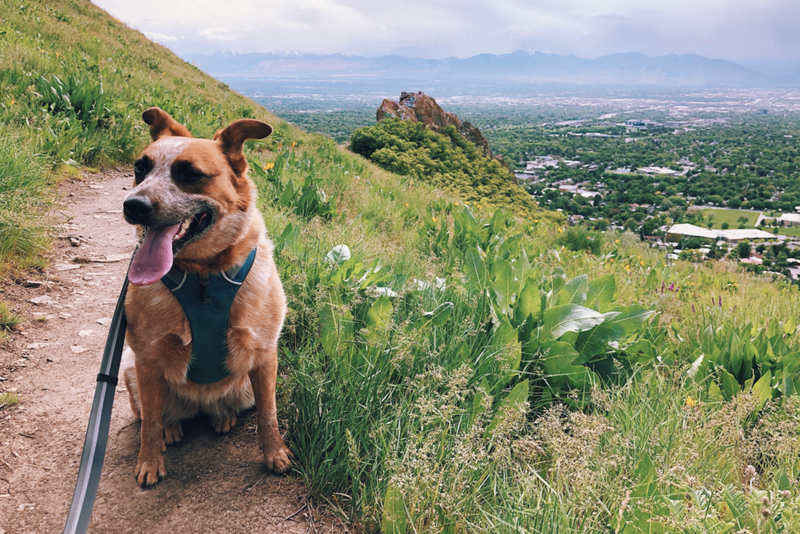 It turns out his glute injury was worse than we thought because after this hike, he realized he couldn't run or hike downhill well and hasn't been able to run since (even through today and we are nearing the end of July now). I'm hoping he has a speedy recovery! I miss my regular running buddy! Welcome to the May adventure post! A lot of fun things happened last month so let's get into it. Mount Wire + Red Butte. 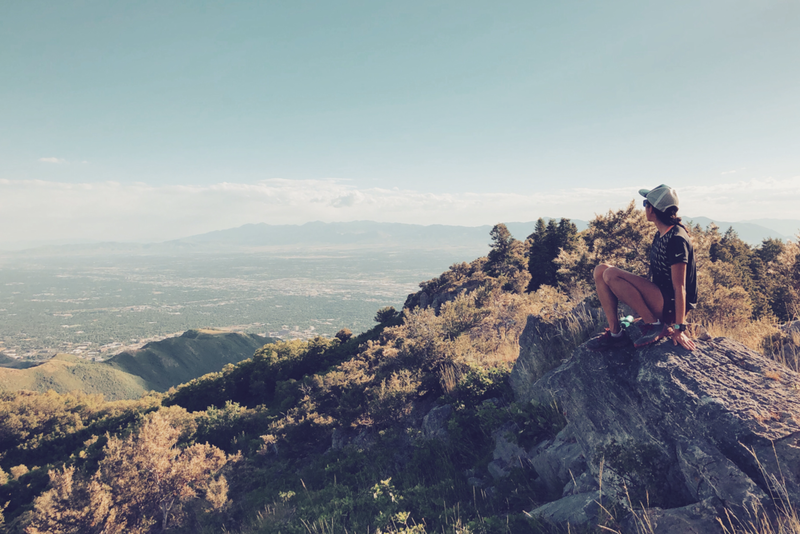 I talked about Geof and I's peak project in my April adventure post, but for those that don't know, the project is happening throughout the summer, where we plan on summiting all of the notable peaks in the Wasatch that run along the Salt Lake valley. We don’t care how small or tall; the only rule is that we do them in order from north to south (that means repeating it if we’ve done it before). The photo above is from Mount Wire. Progress with the project is moving a little slow at the moment, because I was training for a road marathon, but that's complete (as of today! ), so hopefully we'll find the time to get some more peaks done each month. With training for my trail 50K beginning soon, I'll probably add these peaks into the training, which will be fun! Dino Half Marathon. I ran my best half marathon at the Dino Half in Vernal last month (1:44:21). It was such a great race and I loved every part of it. Read the full recap here. Jaybird Photoshoot. I had the opportunity to do a photoshoot for Jaybird for possible product packaging for a new headphone style coming out this fall, geared for runners. Izzy and Geof accompanied me on the shoot but hiked around on their own. 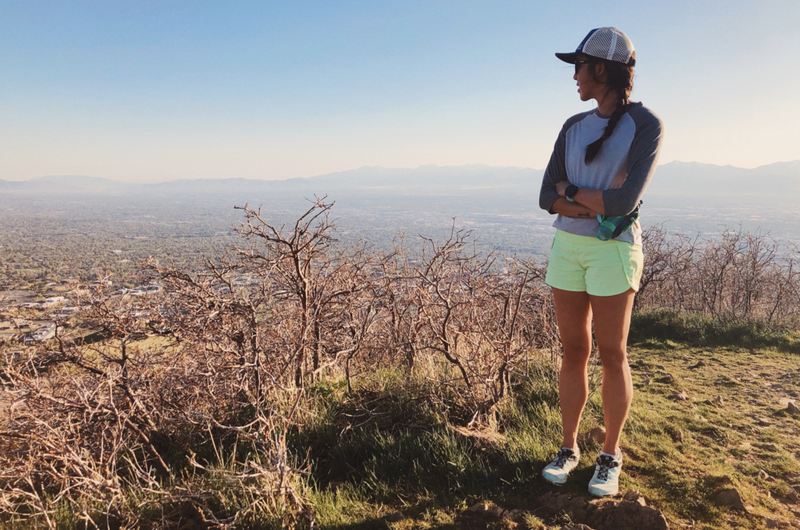 The shoot took place at the Arcadia Trailhead (and we also hiked to a ridge at another nearby trailhead to take shots running along the ridge line). I saw some of the selected shots and they're amazing! I'll share them when I'm allowed to (in September) but for now, you can see some of Geof's shots of Izzy on their hike. She's a little mountain goat dog! Pipeline Trail. This is a favorite location for a trail run, up in Millcreek Canyon. The elevation is really low key on Pipeline and the canyon views are beautiful. We have an annual pass for Millcreek Canyon that expired on the last day of May, so we got in a couple of last minute adventures there. We plan on getting a new pass the next time we go. Glenwild + Flying Dog. This looped trail is in Park City and I ran it for the first time last month. I loved it so much I ended up doing it two weekends in a row for my long run of the week, but reversed the direction and started at a different trailhead each time to keep it interesting. Geof joined me on the second trip. Jacks Peak. I ran/hiked this with a friend and we brought our dogs along. It ended up being such a hot day on a fully exposed trail. I got heat exhaustion from lack of hydration in the day and was getting a big headache and nausea. Not my best day. Izzy also ended up having a bad day too. After the hike, she was limping a little the next day and the big pad on her front paw pads began to peel. It was just too hot for both of us and I didn't anticipate how rocky and hot the surface would be for her. I'll keep her at home next time or bring her on a cooler day. Note: if you noticed, Jacks is on the Peak Project list above, so I'll have to redo this one with Geof next time. 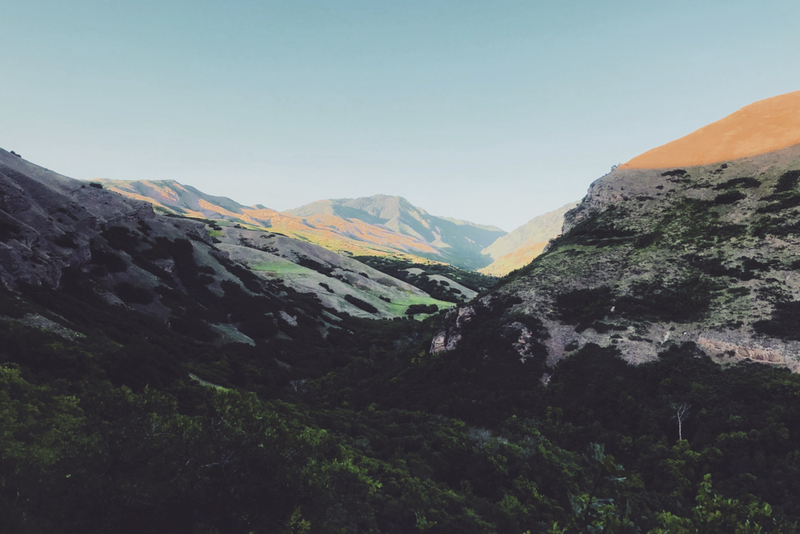 Millcreek Canyon. Geof and I also rode our bikes in Millcreek Canyon in May. There's a gate up in the canyon that is closed to cars through May, so it's nice to bike with no distraction from cars and head up to the end. It was steep and my hips were feeling tight on the climbs, but it was a good workout nonetheless. Those are the highlights but May was a fun-filled month. 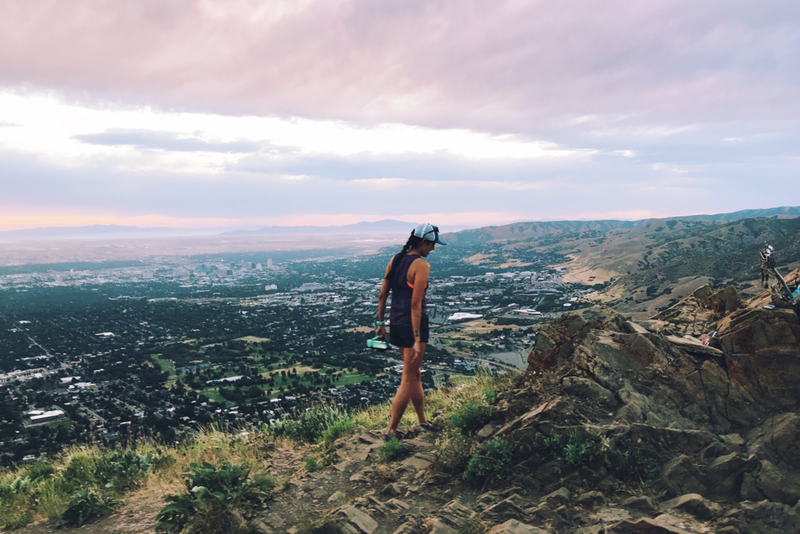 It finally feels like summer in Utah and outdoor adventures are in full swing. I don't love the heat but I love the chance to get out and do more! It stays light out until 9 p.m. which is amazing. And be on the lookout for my Utah Valley Marathon recap soon! I ran the race this morning (with a new marathon PR!) and am excited to share how it went. May has started off pretty crazy, so my April adventure post is coming a bit late, but it's better late than never, right?! Here are some highlights of last month. I started cycling again! I mentioned in my March adventure post that I've been a little apprehensive of getting back on my bike in the past couple of years due to a bike accident in 2012. 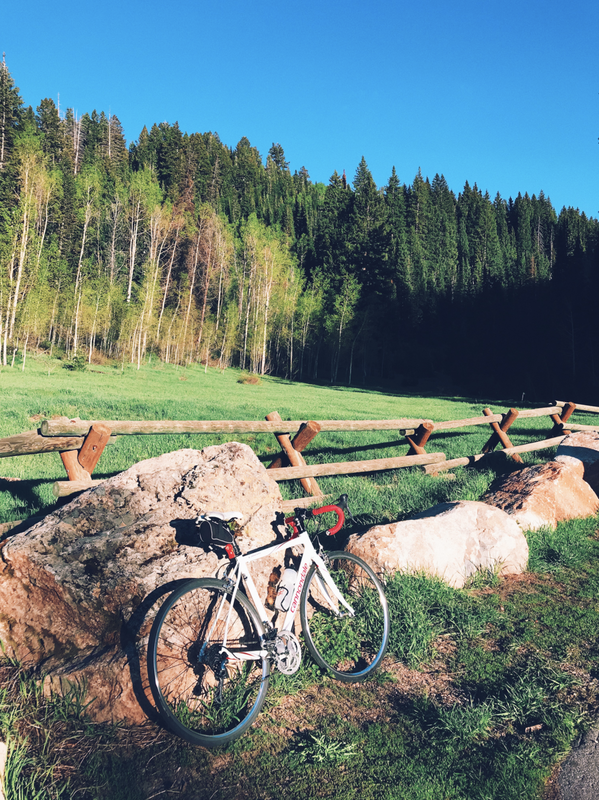 Recently, I've found courage in getting back on the bike, especially if I'm riding with others and if it's in areas where it's more bike-friendly. Cycling is also a great way to cross-train for running so I plan on doing it more. The photo above was from a ride up Emigration Canyon to Little Mountain Summit. I've been going on more solo trail runs in April. I love having that time to myself to just be. Being out on the trail feels like home to me. I like the feeling of being in the mountains where it's only me and my thoughts. There's something so calming about feeling the dirt under my feet, getting into a rhythm and experiencing the surroundings, no matter how fast or slow it takes me. 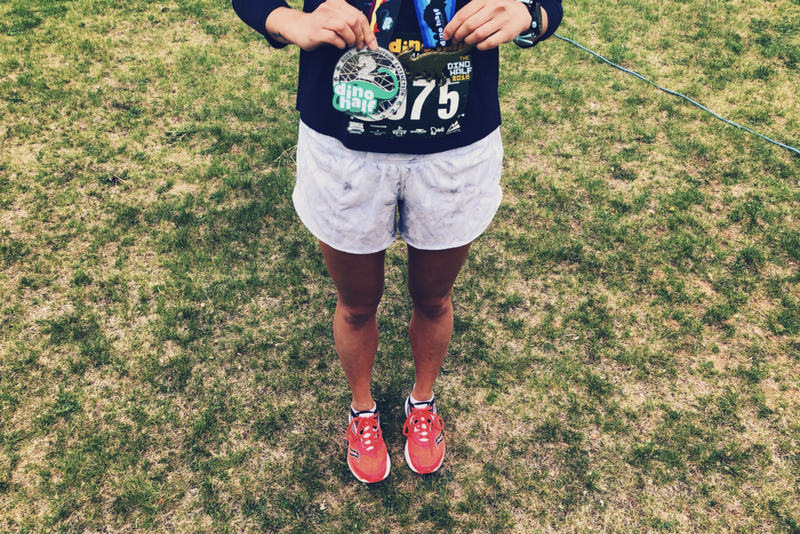 On April 21st, I ran the Salt Lake City Half Marathon and ran a new PR! Spoiler alert: I just ran a half marathon this past weekend (May 12) and got a PR again... SO crazy. I still need to formulate my thoughts on that race, so that recap will be coming soon, but if you want to read about how the Salt Lake City half went, the recap is here. A few days after the race, Geof and I ran/hiked to Mount Van Cott for the first time. 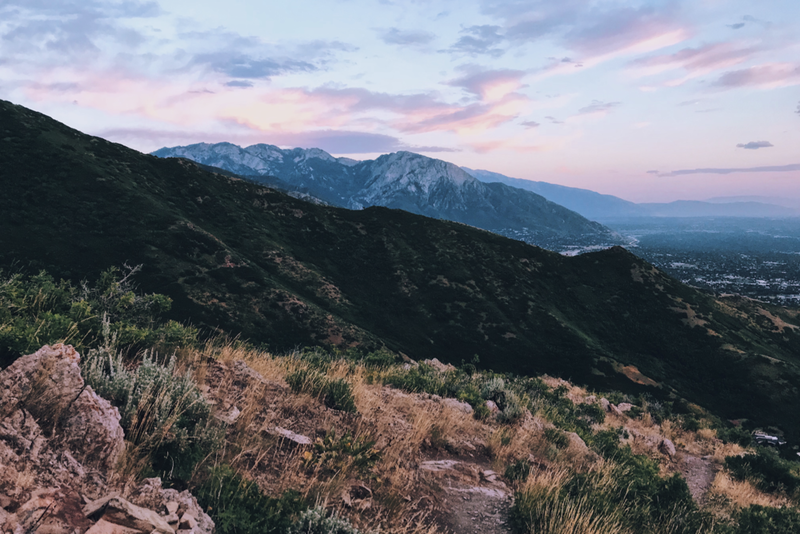 We have a fun goal this summer to summit all of the notable peaks in the Wasatch that run along the valley, going from north to south. We don’t care how small or tall they are. Mount Van Cott is at an elevation of 6351 feet and is one of the smaller peaks, but was so fun and so pretty nonetheless. 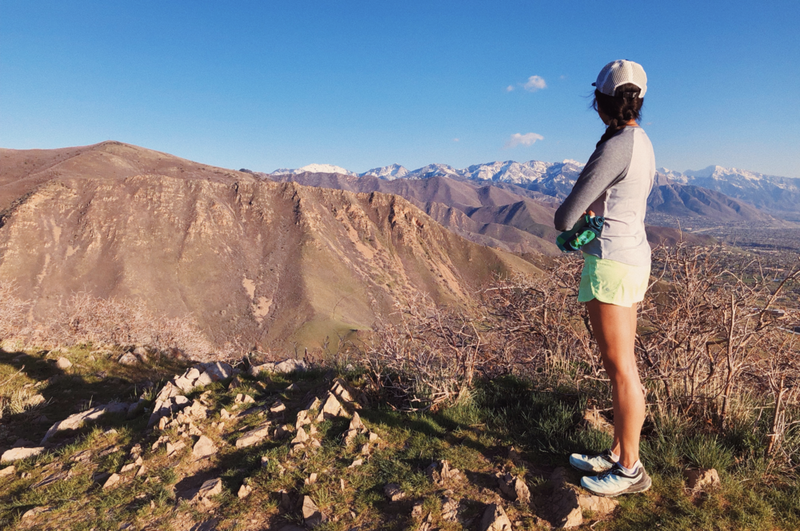 Along with all of the trail adventures, April brought many road miles as well. I have a marathon in June that I don't feel fully prepared for, but did make some progression in training for that in the last month. I did more interval runs and ran two 18-mile training runs (the latter being my most successful long run to date). I feel like I'm making some good progress with my running overall. 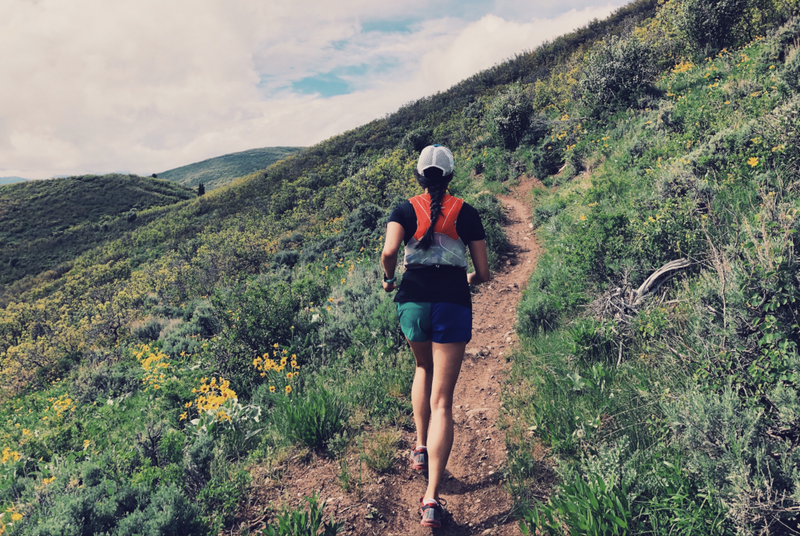 Less stress + more fun = stronger running!